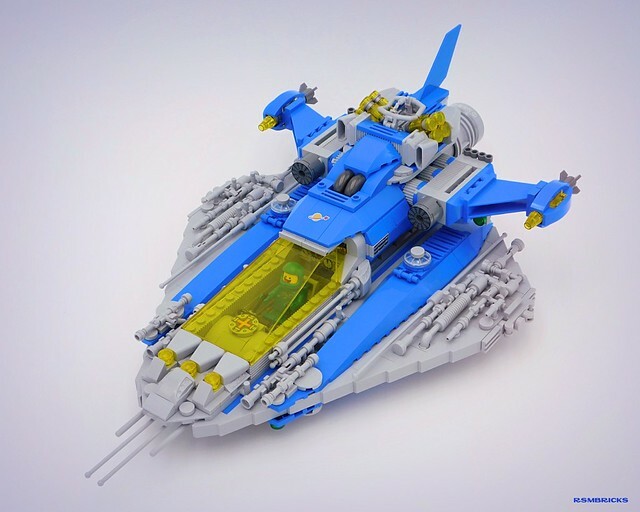 According to builder rsmbricks this is his first spaceship since the mid 80's, and after a thirty some odd year break, it's quite the comeback. While a little unconventional even for neo classic space, there's a chunkiness and quirkiness I sorta dig about this. And of course it's Benny's, so it's flown with extreme enthusiasm.